And the mothers are still crying. With gaping holes in their hearts they wonder if their girls have been raped, sold, wrapped in explosives and used to bring terror and death to others. 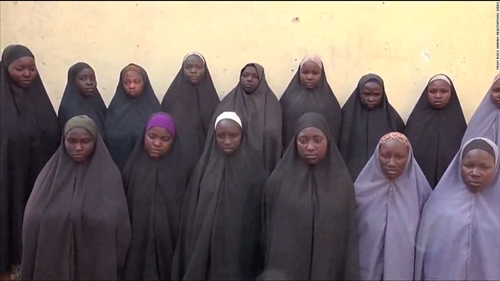 A proof-of-life video has surfaced showing 15 of the girls. Two mothers have identified their daughters, Saratu and Hauwa, and another mother has identified five more of the girls. While the video is still being authenticated, it is the first sign of hope these mothers have had in months. The easiest thing to do when you hear stories like this is to shut it down and move on. It’s painful. It’s hard. And we feel powerless to do anything to help. I want to ask you to choose a different way. I want to ask you to dare to care. Here are 6 Ways You Can Dare to Care. 1. Learn boldly. We are inundated with so much information. And so much of our “news” is entertainment. Would you choose to look at one video or read one article today about these girls? Here’s a link for you. 2. Pray boldly. Two years is a long time to pray when it doesn’t seem like much (anything) is happening. But would you choose today to pray boldly that God would, even now, “bring back our girls?” Pray boldly. 3. Share boldly. This is a “downer” of a story. We like puppies and kittens and hilarious videos of wisdom teeth, brothers, and zombies. But could you share with a friend or two and perhaps pray together right then, right there that God would orchestrate a rescue? Share boldly. 4. Give boldly. There is no organization related to this particular situation that is raising funds. 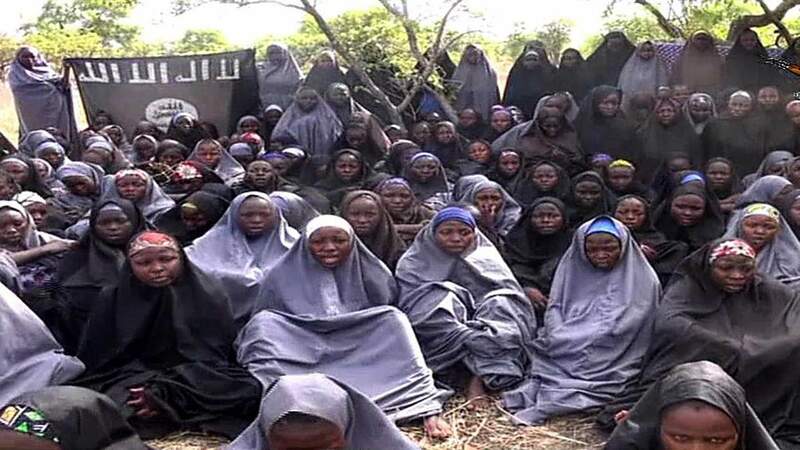 So, do not give to anyone to bring back our girls. However, do give boldly toward social justice initiatives around the world. International Justice Mission is a place you can start. Give boldly. 5. Feel boldly. Allow yourself to imagine yourself as one of these mothers. Allow yourself to feel the feelings, to grieve, to be angry, to empathize. But rather than being paralyzed by compassion, let it move you to action. Feel boldly. 6. Act boldly. Be done with the day of doing nothing and do something. Perhaps today you can’t actively work to bring home these girls, but there is something you can do in your corner of the world today. Open your eyes. Look around. Is there someone hurting, vulnerable, in need? What can you do to help? Act boldly. My heart breaks for the 219 that are still missing. Can you and I dare to care for these girls today? Please join me today over at my Facebook page. Link articles that you read about the girls or their families. Write out prayers for the girls. And share any ideas you have about how you and I together can dare to care. Zambia was AMAZING. And I have SO many beautiful stories to tell about healing, and hope, and the HEROES. Oh. My. Goodness. The HEROES. The women and men who came out to learn how they can help the orphans and vulnerable children in their families, their churches, and the homes they have opened … They are HEROES. Even just looking at this picture makes my heart swell with joy. They took off work, rearranged their schedules, and came out to learn how to bring healing and hope to hurting children — children who have been abused, exploited, trafficked. They came together and wrestled with hard ideas and began to dream about the difference they could make in the lives of the children all around them. I LOVE these people. And I love my people. My FAMILY. As much as I loved being in Zambia, as much as I loved seeing 100 people come together for such a beautiful purpose … I love coming home. By the time I got to baggage claim, I was SO tired. Would you look at this? Bill looks great. But look at me. This is what 28 hours of straight travel looks like. No shower. No makeup. I don’t even think I brushed my hair the whole time. So, I’ve been home more than a week now. When I got home, the first thing I wanted to do, after I slept for 12 hours straight, was cook for my family. Some of this is “mommy guilt” kind of stuff I’m sure. And that I want them to appreciate me. I needed to know I as missed. And while this is part of it. Even more I know, it’s important to come off of a sprint and connect with the marathon. With the enduring beauty and messiness of my marathon priorities. Before I’m a ministry leader, I’m a wife. And mom. So, I’ve been cooking full breakfasts before I send the kids to school. I’m talking eggs, bacon, french toast, the works. And then packing lunches. And then fixing favorites for dinner. Last night was salmon with a coarse mustard and maple syrup glaze, green beans, and a savory sweet potato mash. Yum, right? But, I start falling asleep around 7:30. This is getting better, now. I made it until 9:30 last night. Go me! Right? So, why am I telling you all of this? Several reasons. It’s kind of an excuse. I have about a million stories to tell, but I haven’t gotten back into my writing rhythm yet. It’s coming. I’m just not there yet. I’m learning how to be kind to myself. Coming off of 3 1/2 weeks of travel, I’ve needed two things — to recover and reconnect with my marathon priorities. I’m wondering if you can relate and need permission to be kind to yourself. Maybe you’re right in the middle of something that is draining you. Or something’s going on with your health and you just can’t even figure out how to make it through the day. Or you’re doing work that energizes you, but there’s a cost. Or maybe, just maybe, the sprint has taken over and you are wearing yourself out. Maybe you need permission to be kind to yourself. To draw your nearest and dearest close. To rest. To reconnect with the marathon. I LOVE the work I do with RiverCross. I love that I get to help orphans and vulnerable children in such an innovative way. I know that God has been preparing me for this all of my life. Honestly, I can’t even believe I get to do this. What I’ve learned is that there are seasons for sprinting. If we’re going to make lasting impact, there are seasons for sprinting. But, after the sprint, you have to take a breather. Lay in the dirt and look at the clouds overhead. Fill back up and recover your “normal.” You have to be kind to yourself. You have to reconnect with the marathon. On Sunday our RiverCross Team had the opportunity to worship with the church of my friend Martha. I was honored to be invited to share with the congregation. So, enjoy this little clip. It’s under 2:30 minutes! And includes a taste of the worship we experienced. We begin two days of training with twelve Zambian leaders today! And on Wednesday these leaders will equip around 70 caregivers of vulnerable children with best practices, trauma healing, and biblical principles. We would all love your prayers! By the time you read this, I’ll be on my way to Zambia with RiverCross. We’ll be conducting a leadership training for 12 Zambian leaders for two days. And then these leaders will lead a workshop to equip 125 Zambians who are working with orphans and vulnerable children. I will be gone from home for 11 days. And during those days the beauty of ordinary life will go on without me. While I’m gone, Piper will swim in her last swim meet of the year. Cameron will find out whether or not he’s been accepted to his first-choice college. And I’ll miss out on several days with Katya while she’s home from her school-camp. There’s never a good time to be away from home. And even though it is hard, I know it’s right. We all know it’s right. Here’s how. Although I still have children at home, they are older. We miss each other, and they still need me. But not in the way they did when there were little. This is a new season. Not only do I believe in what I’m doing. but Bill and the kids believe in what I’m doing. They see the value of RiverCross and stand with me. They understand that they are engaging in this work as they send me out. My family believes in the ministry. Bill is incredible. He can manage the household like a boss. But we also have family and friends around who are quick to invite the family for dinner and help with transportation while I’m gone. Without this support, it wouldn’t be possible. We all have such a sense of God calling me to this work. We see God’s hand in the way he has prepared me, equipped me, and positioned me. I couldn’t justify the cost to our family without being called. As meaningful as the work is, being away from home several times a year is hard. But we know it’s right. What are you doing or have you done for the sake of serving Christ that has been hard on your family? Do you know that it is right, or are you wondering? Let’s connect on Facebook. I’d love to pray for you, and I’d love for you to pray for me! What could be better than staying close to Jesus, right? That’s what a man from Gerasene thought as well. He had lived a terrible life. Possessed by multiple demons, he lived in a graveyard. He was so violent, that he had been captured and bound in chains on multiple occasions. But he was so strong that he wrenched the chains apart and broke the shackles into pieces. Over time, his strength grew. And now he was at the point where no one could hold him down. .
Can you imagine raising a family in the nearby village? Although his violence had, to this point, been against himself, wouldn’t you worry that one day it would be turned against you? Against your children? Then the day came when Jesus landed on the shore. As soon as Jesus stepped out the boat, this man ran at Jesus from the tombs. ~Bleeding from cutting his body with stones. ~Remnants of chains and shackles on his wrists and ankles. The disciples hold back their instinct to be sure that the Gerasene stays on the ground. And Jesus speaks directly to him. From the depths of the man a voice arises. Not the man’s voice, but one of the demons. All that the disciples see is one man, one apparently crazy violent man. But what Jesus sees is a tortured man. A possessed man. A man who would be restored, if the demons come out. Legion bargains for the many. And Jesus with elegant simplicity gives the demons permission to enter the herd of swine grazing on the hillside. They rush from the Gerasene driving the pigs over the cliff and to their death in the sea below. I see the scene playing out like this one from The Lord of the Rings. As the chaos clears, the disciples find him some clothes. Jesus speaks to him. Finds out about his history, his family, his friends. In the loyal love born of such a hard-won restoration, the man wants to stay with Jesus. He begs to stay with Jesus. But Jesus says no. Jesus cuts the cord. It seems like a bit early, doesn’t it. What could it hurt for him to have several weeks right beside Jesus before heading back home, back to friends and family? Wouldn’t it be better to make sure his doctrine is right? His prayer life is in order? And that he knows how to do a word study or two? But Jesus doesn’t always work like that. Sometimes he sends us right out. Sometimes he leads us right back into the mess of our own lives when we would just love to have a few weeks on the mountaintop. And all we have is the loyal love born of our hard-won restoration. Sometimes Jesus cuts the cord. And I’m wondering if this is for you. Are you clinging tightly when it’s time to tell? Perhaps its time for you to tell your friends and family how much the Lord has done for you. Perhaps it’s time to share of your loyal love for this One who birthed in you such a hard-won restoration. Perhaps Jesus is cutting the cord.